If you are looking to create a lush garden, one that gives you a tropical look, them you need to find the right plants. Tropical plants include both foliage and flowering plants, you don’t need to limit yourself to few palm trees, although they can be a great start. Fruit trees, flowering plants, and orchids can all be included in your very own tropical garden. Foxtail Palms are fast growing and easy in a range of climates. Look for the unusual Barringtonia calyptrata, glossy foliage and fragrant white flowers. Diamond Joey palms have some of the lushest foliage you can imagine. Add a little height with the fast growing Alexander palm. 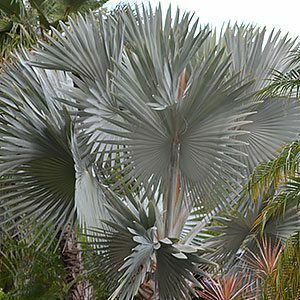 Or choose the beautiful blue grey fan like foliage of Bismarckia nobilis. Consider Syzygium cormiflorum a Lily Pilly commonly known as the White Apple. Cordylines are tough and easy to grow, new colourful varieties in shaded rom pink to red, as well as lush green. Crotons with their large glossy colourful foliage add colour year round. Bromeliads are another, great foliage and texture on easy care plants. Clivia are the in between plant, foliage and flowers. Licuala cordata – wonderful large lush foliage. An all time favourite, Gardenias have flowers, fragrance and foliage as well. Look for the unusual Gardenia vietnamensis. Impatiens are the all round plant, they are long flowering and the New Guinea varieties are easy to grow. The Ornamental gingers include Heleconia, Alpinia, Zingiber and Tapeinochilos. The Bangkok Rose (Mussaenda), Frangipani, Justica and Medinilla are a few others to consider. Before considering buying tropical plants in is essential to evaluate the climate and position. Some plants will grow well in cooler climates, others will not. Some can cope with an artificial micro climate, a warm sunny position protected from cold winds and frosts with a little added humidity, other plants will simply not survive. 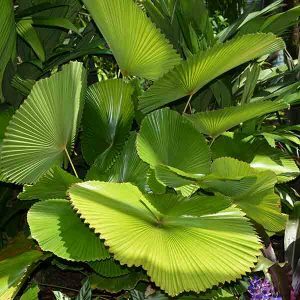 Tropical plants are readily available to buy online in Australia from leading tropical plants nurseries listed below or browse our tropical plants list for ideas, inspiration and growing notes. It is important realise that many of these plants are versatile,while others are difficult to grow in any but a tropical situation. However we have seen frangipani plants growing indoors in a pot in cool areas of Victoria, so if you are keen to grow tropical plants in cool climates you can certainly give it a try. Tropical Plants are available for sale online from the following participating nurseries. Tropical plant specialist featuring large variety of gingers, costus, heliconias, tropical grasses, frangipanis. Tropical plants & foliage, primarily heliconias & gingers. Cut flowers on request to all states except Tasmania.